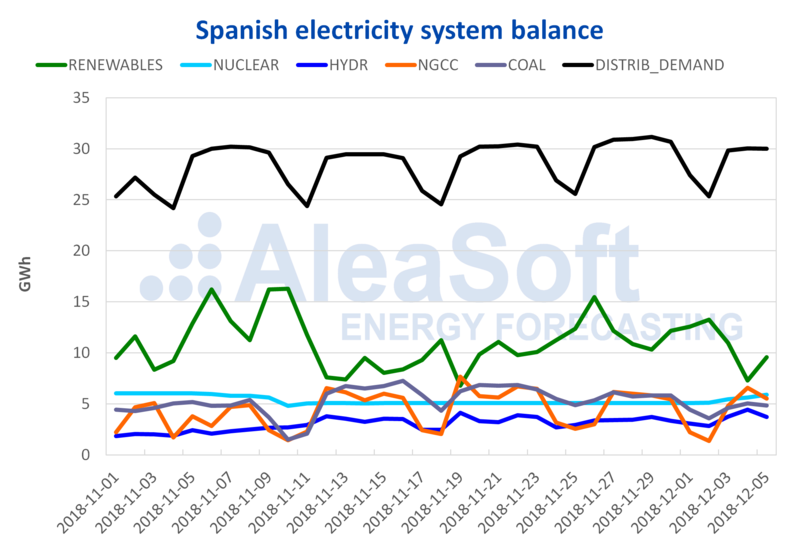 AleaSoft, December 5, 2018. 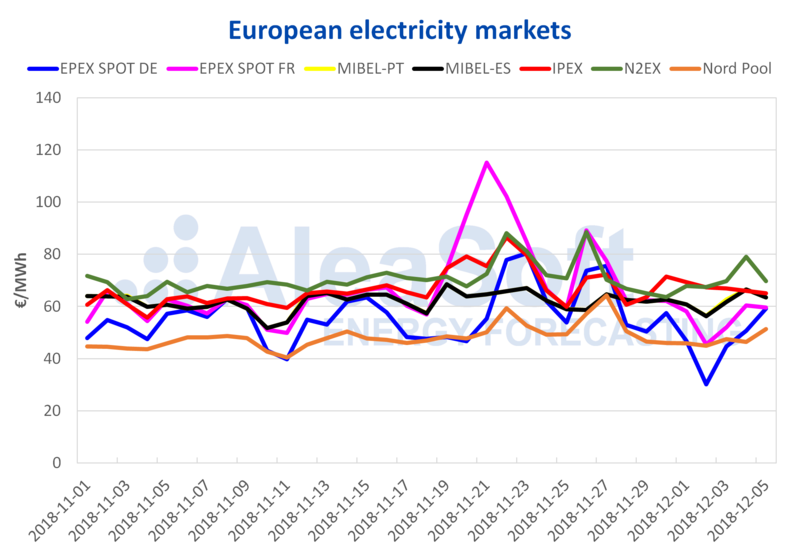 The Spanish electricity price in the MIBEL market ranked as the third lowest in Europe in November, behind the Nord Pool market of the Nordic countries and the German EPEX SPOT market. 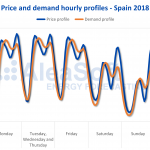 As analysed by AleaSoft, the average daily price of the Spanish and Portuguese markets was the second lowest in Europe for six days in November. 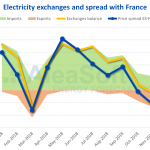 Sources: Prepared by AleaSoft using data from REE.